America’s sweetheart has returned with a new album, along with a brand new sound and look. While the album may not have that same country-princess vibe Taylor has worked in the past, Red is definitely an album to check out. From the first single “We Are Never Ever Getting Back Together” to the title track “Red,” the album includes a wide variety of sounds for almost every taste. One of my personal favorite songs is “Everything Has Changed,” which features British artist Ed Sheeran. 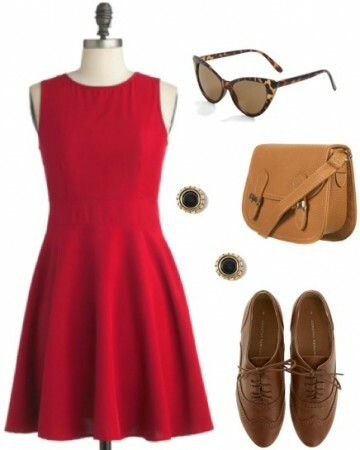 Even if you’re not a huge TSwift fan, Red is actually a great source of inspiration for everyday outfits! Below, I’ve created a series of looks inspired by songs off of Taylor’s new album.Feel free to use them to inspire your own wardrobe! Scroll down to view them all. The title track off the album is easy to translate into a wearable, everyday look with a few key pieces. First, wear a classic sleeveless dress in Taylor’s signature red hue. Next, slip on a pair of oxfords for a trendy but casual look. Last, accessorize the look with a crossbody bag, stud earrings, and retro-inspired cat eye sunglasses. “Starlight” is one of the more upbeat songs on the album, and also one of my favorites. Even if you’re not dancing the night away, you can still rock a pretty and polished look with a cream high-low dress and gold metallic ballet flats. Add a statement necklace, sparkly stud earrings, and a crystal-accented headband for some glam touches. Grab an envelope clutch to complete the ensemble! If you’re feeling 22 today, go for a striped shirt and red high-waisted shorts, paired with some ever-classic Keds. 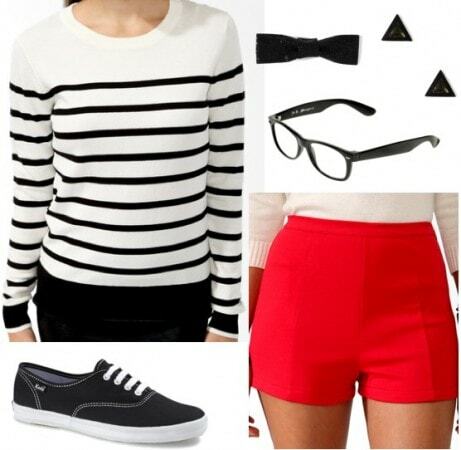 Wear hipster-esque glasses and triangle stud earrings for a quirky vibe. A cute bow hair accessory completes the fun look inspired by Taylor. 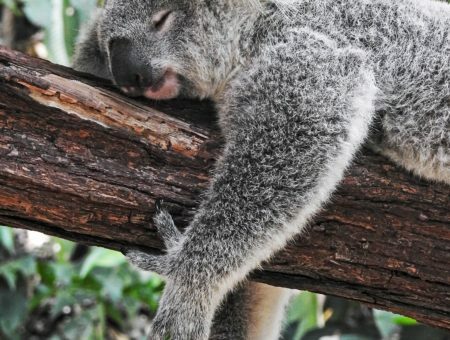 Dreaming about your name going up in lights? Dress the part in a fabulous shift dress and patent flats. Wear with a pretty clutch, chain bracelet, and a bow headband with pearl accents. Before you head out to face the paparazzi, don’t forget to grab a pair of cat eye sunglasses! While you might be on the go, you can stay stay stay super cute with this outfit. Wear a black peplum top with a khaki skirt for a classic vibe, then slip on a pair of scalloped animal-print flats for a fun twist. Add a red skinny belt over the top, layer with a bow necklace, and put in stud earrings for accessories. Grab a mini satchel bag to finish off the look! Did you buy Taylor Swift’s new album? 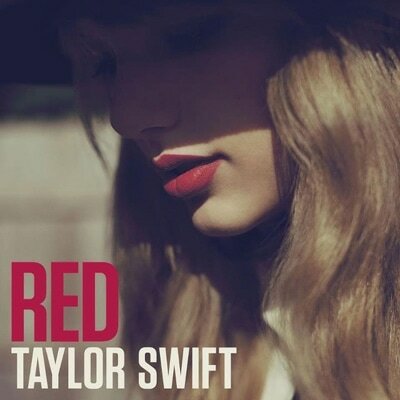 What were your favorite songs off of Red? Are you inspired by Taylor Swift’s new style? Would you wear any of the looks above? Which outfit is your favorite? Would you like to see more posts like this in the future? Let me know in the comments! Previous Quiz: What Should You Be for Halloween?